This is the 11th in an annual series of UN-related human rights conferences and is being organised in association with the Norwegian Ministry of Foreign Affairs, Oslo and the Swiss Federal Department of Foreign Affairs, Bern. The implementation of each of the ten core UN human rights treaties is monitored by a committee of independent experts. This monitoring system should ensure that every State Party to a treaty is fulfilling its obligations for all persons to enjoy the fundamental rights set out in the treaty. For some years, the Office of the High Commissioner for Human Rights coordinated a multi-stakeholder consultation, known as the Dublin process, to generate ideas for strengthening the UN treaty body system. More recently, a separate intergovernmental process was established on this topic, which culminated in the adoption of a resolution on Strengthening and enhancing the effective functioning of the human rights treaty body system (A/Res/68/268) in April 2014. While this outcome is significant, many important issues remain unresolved. The adoption without a vote of UN General Assembly Resolution 68/268 represents a significant achievement in addressing immediate challenges confronting the human rights treaty bodies; for the future sustainability of the system, work must now be pursued on two tracks: Implementation of Res 68/268, alongside the development of more ambitious, long term plans for the system’s effective functioning in years to come. While OHCHR should take the lead, this must remain a multi-stakeholder process. An independent study should be undertaken, using applied research and academic rigour, to look at future options for the long-term sustainability of the treaty body system. The study should reflect earlier proposals as well as consider new ones. Distinguished and competent candidates should be nominated for/elected to the treaty bodies; election of individuals in governmental or executive positions should be avoided. A compendium should be drawn up of good practices with regard to transparent processes for nomination and election of treaty body members. Full respect needs to be ensured for the 2012 Addis Ababa Guidelines on the independence and impartiality of treaty body members; members must recuse themselves when there is, or appears to be, a conflict of interest. Further guidance could be given to new treaty body members as part of their induction. 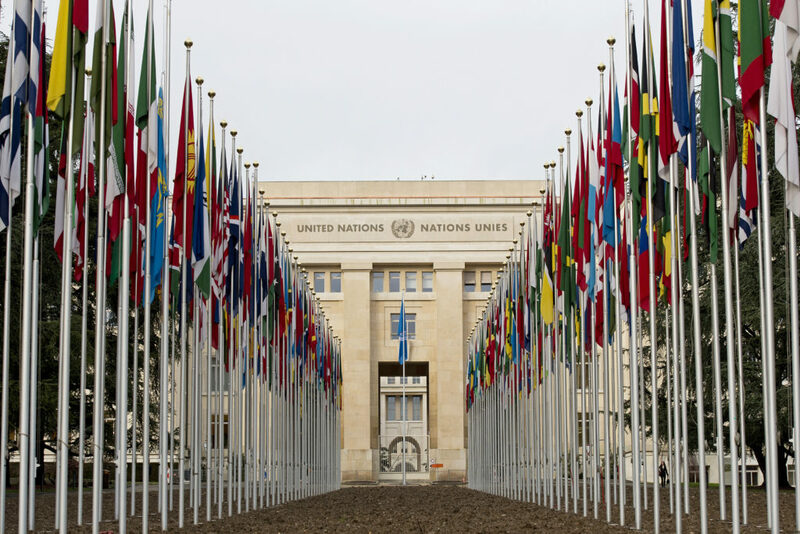 More space and opportunity should be provided for strategic discussion between treaty bodies; the recent creation by the Swiss government of the Geneva Platform for Human Rights Treaty Bodies presents one significant opportunity for this. The perspective of rights holders is of critical importance; they should be allowed greater engagement in the work of the treaty bodies. A compendium of good practice could be compiled aimed at harmonizing methodologies in relation to NGO participation. There must be a serious and system-wide response to the problem of reprisals against individuals or organisations who seek to engage with or otherwise assist the treaty monitoring bodies in their work. More regular, substantive dialogue between treaty body members and States parties is needed; it should involve other stakeholders, including National Institutions and NGOs. A meeting should be organised between National Government Agents and the treaty bodies dealing with individual complaints to discuss ways to address difficulties encountered in relation to the complaints system. There needs to be stronger “marketing” of the treaty body system beyond Geneva, using modern means of communication and more targeted media work, as a first step in enhancing impact at the national level. Each treaty body should address the issue of implementation as a standing agenda item. Each State party should create a sufficiently high-level focal point to facilitate implementation. OHCHR could be asked to help States identify methodologies for securing follow-up and models for databases to assist in this process. The whole of the UN system should be engaged in assisting States to secure implementation. The deployment of Capacity-Building Officers in a number of regions will provide valuable support to this work. Social media engagement is encouraged for this event. Comments might include a summary of what is being said (non-attributable), the direction of the discussion or general impressions of the conference. For Twitter users, please include @WiltonPark when tweeting and we will retweet your message. “It was indeed a pleasure being again involved in another Wilton Park meeting after the memorable discussion on drones last year. Indeed it is hard to find a better place and a more professional staff anywhere.